The Strategic Air Lift Coordination Cell (SALCC) is a multinational military organization, established on 23rd of January 2006. The permanent staff of the SALCC is located in the building of the MCCE at Royal Netherlands Air Force Base Eindhoven (The Netherlands). The aim of SALCC is to manage the SALIS (Strategic Air Lift International Solution) contract on an executive level in an efficient and effective way. Following the Prague Capability Commitment and Helsinki Headline Goals, NATO and EU signed (28th of June 2004) a MOU on Strategic Air Lift (Interim Solution). The objective was to establish the means by which the participants intend to close the existing gap for strategic airlift for outsized cargo. The purpose of the strategic airlift capability is to deploy equipment for rapid deployment in support of NATO and/or EU-operations. This MOU led to a signed SALIS-Contract between NAMSA (23rd of January 2006), acting on behalf of the participating nations, and RUSLAN SALIS GmbH, the Aircraft Operator (AO) based at Leipzig Airport (supported by the AO’s Volga Dnepr Airlines and Antonov Design Bureau). With the beginning of 2017 two different contracts were in place instead of one, with RUSLAN SALIS GmbH (AO Volga Dnepr Airlines) and ANTONOV SALIS GmbH (AO Antonov Design Bureau). 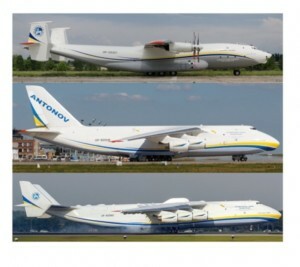 Starting in 2019 there is only one contract with ANTONOV LOGISTICS SALIS GmbH (AO Antonov Airlines), which provides the Member Nations the same service. The ten (10) participating nations in the SALIS-Contract are Belgium, Czech Republic, Germany, France, Hungary, Luxemburg, Norway, Poland, Slovakia and Slovenia. The SALIS-Contract basically consists of two fundamental elements. First, the assured access to strategic airlift capability for outsized cargo and second the ownership and usage of participants agreed quota of flying hours per annum. The assured access guarantees the assured availability of two (2) AN124-100 under part-time charter for any of the participant’s national purpose, and the assured availability of up to five (5) AN124-100 aircraft on priority call for the rapid deployment of forces in support of NATO/EU operations. The SALIS Steering Board is the highest directing body for all SALIS matters. The SALIS Partnership is the legal entity that gives NSPA (formerly known as NAMSA) authority for contract management on behalf of participants. NSPA is the Contracting Agency for the management of the SALIS-Contract. SALCC is established as the executive level for the overall management of the SALIS operation and manages the day to day business. Participants operate their SALIS capabilities through the SALCC. The SALCC Staff consists of one (1) SALCC CO and up to five (5) SALCC Operations Officers. These positions are filled by member nations and are in principal rotational.